As a REALTOR®, I have learned to appreciate the character and charm that every home has. 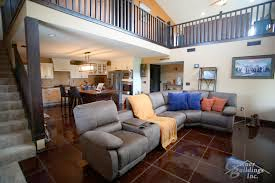 Each home has different aspects of charm that is all their own. I sometimes wish that some of the homes I show could tell their stories (oh, the stories I would hear!). With that being said, as a person that gets to see many different styles of homes, I believe that every home style fits their owner’s personality. I am very intrigued with unique properties and one of the types of properties that has peeked my interest lately is “metal shop homes”. 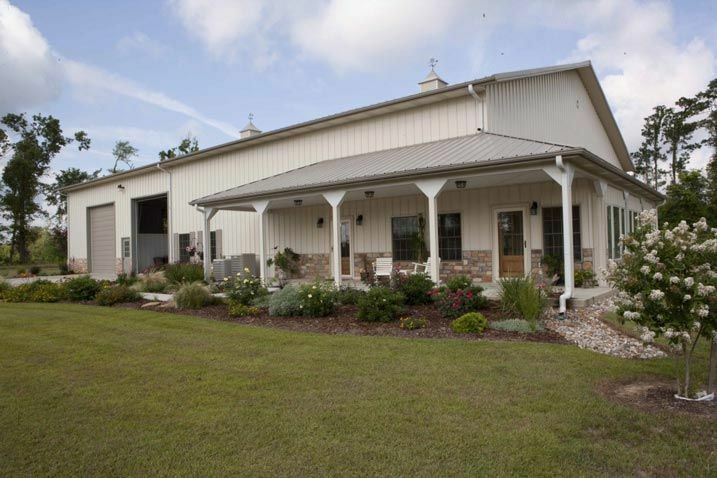 Maybe it’s because I am a little bit country (as some might say) but to me you get the best of both worlds with a metal shop home. You get a place to put all of your husband’s tools and toys and a blank slate that the wife (or interior designer in the family) can design to have everyone that walks through the front door say “Wow! I would have never thought it looked like this inside!” It also does not hurt that they tend to be more affordable to build. With me being interested in metal shop homes, I looked into financing. A lot of people, includig me, thought that financing such a unique property would be hard to do. 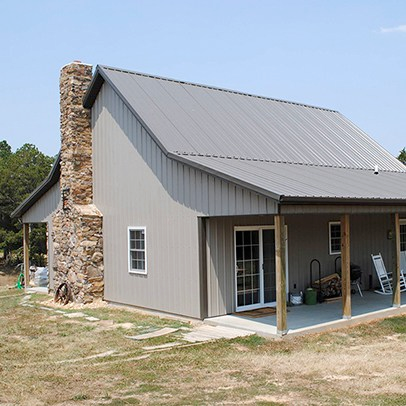 I found that there is financing available for metal shop homes. 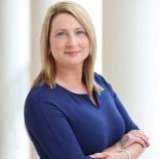 I spoke to one of our local lenders, Monica C. Hebert with Iberiabank Mortgage, to see what insight she could give from the lending stand point. Here is what she had to say. For me, I will continue to be intrigued by unique homes and continue to keep metal shop homes as a possibility for me and my husband. If you have any questions about metal shop homes or would like to know about the metal shop homes or other unique properties we have on the market, feel free to contact me at 337-256-0028 or at rboutte@mcgeescott.com. For questions about financing metal shop homes or any other type of property, contact Monica C. Hebert with Iberiabank Mortgage at 337-359-1676 or 337-967-3007 or by email at monicac.hebert@iberiabank.com.